If you’ve been following the SPLOST 2020 process closely, you saw that only a few transportation-related projects made the Citizen Advisory Committee’s (CAC) first cut. We presented two projects– #80 Tallassee Shared-use Path and #83 Vincent Drive Sidewalk– and the CAC selected both to make the first round of formal proposed project presentations. Following the first round of public presentations, the CAC reduced the 88-project long list to about 150% of the available funding. After receiving feedback from the Mayor and Commission and public input, the CAC will reduce the list to 100% of available funding. We have yet to see that list, but it will then be tweaked by the Mayor and Commission along with additional public input throughout the remainder of the process. Eventually, in November, the SPLOST 2020 tax referendum and selected projects will be on the city-county ballot. 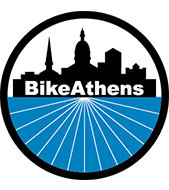 BikeAthens has been fairly quiet in talking about and publicly advocating for our submissions, but we believe they are important projects that further our mission of building equity in transportation. You can see our presentations to the SPLOST Committee online: Tallassee Road Shared-Use Path and Vincent Drive Sidewalk. SPLOST 2020 presentations, however, are limited to 10 minutes and that time restriction can make it difficult to get into the details as much as we’d like. In this blog post, we want to expand the conversation of why we chose to propose these two projects. Before the CAC began evaluating projects, Commissioner Mariah Parker ensured equity would be a stated goal of SPLOST 2020. 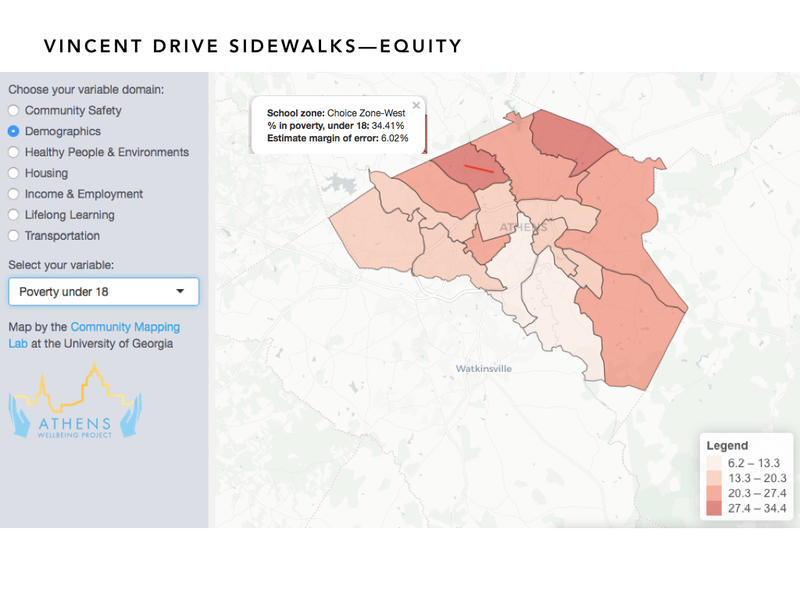 The document defines equity: “Equity is redress for historical and current socioeconomic, racial, age- and/or ability-related inequality.” We believe the Tallassee Road Shared-Use Path and the Vincent Drive Sidewalk address historical under-investment in affordable transportation options. 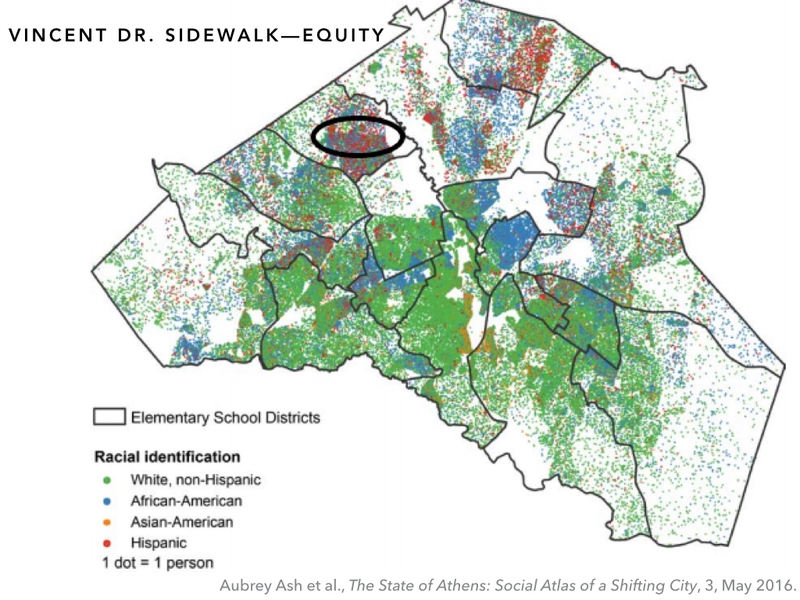 According to the Athens in Motion Plan, only 3 public schools in Athens do not have direct access to sidewalks. Burney-Harris-Lyons is one of those schools. A shared-use path along Tallassee Road would provide a safe, comfortable place for kids and adults to walk and ride. In the image to the left, blue lines indicate existing bike lanes. Only a few schools have safe biking access. Bike lanes outside the loop are rare. The proposed Tallassee Road Shared-Use Path provides a safe connection for people who rely on walking, riding a bike, or taking the bus to navigate Athens. Between car payments, maintenance, gas, and insurance, car ownership is expensive– for some it is prohibitively expensive. 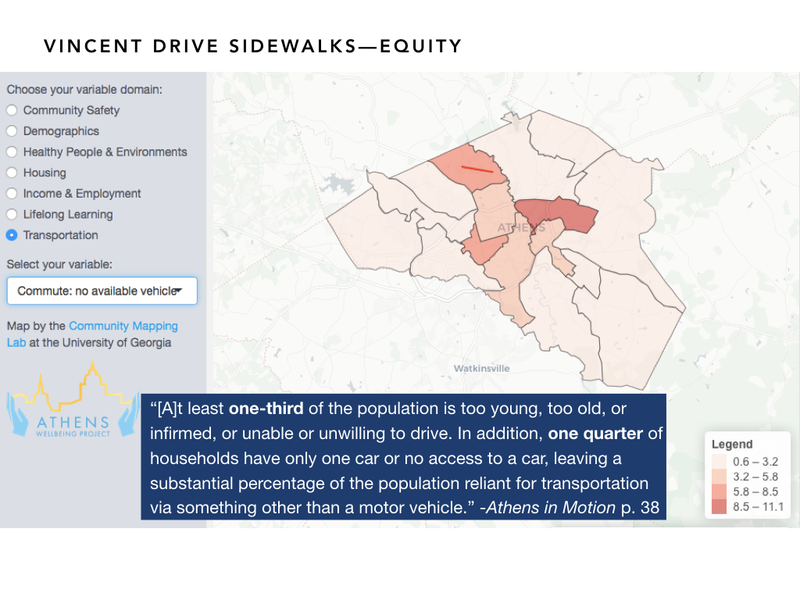 Finally, Athens in Motion equity analysis identified the Tallassee Road Shared-Use path as a priority Greenway project (it is already a Greenway Network priority project). 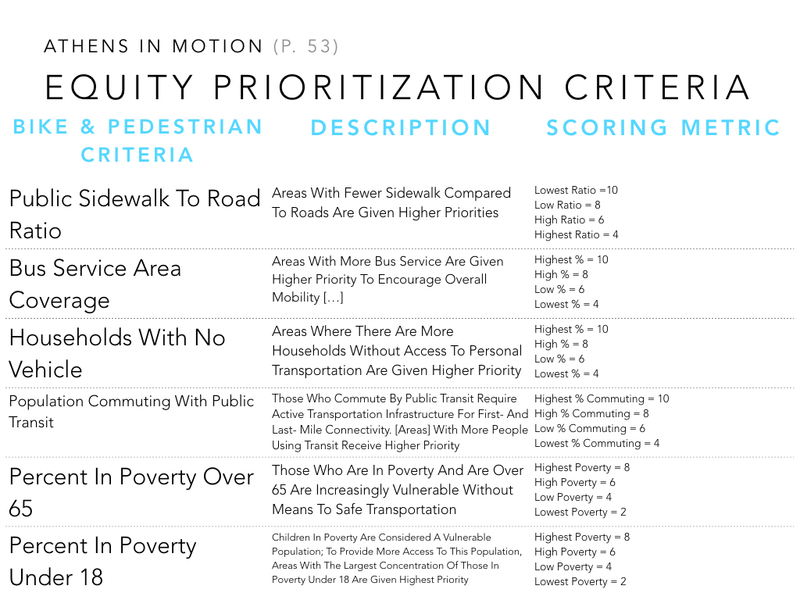 Athens in Motion (p. 55) used six equity factors to prioritize projects. Further suggesting that funding the Tallassee Road Shared-Use path will help counteract existing transportation inequalities. 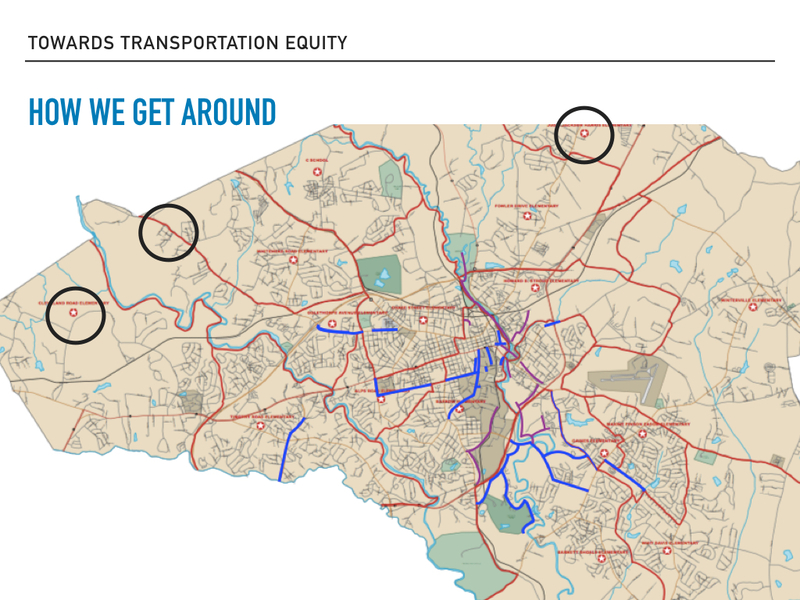 The neighborhoods along Vincent Drive are diverse, but they need more transportation options. It is served by the Athens Transit Number 8 bus, but there are no sidewalks to help people to walk to the bus stop. There are no sidewalks to connect families to the Holland Youth Sport Complex, and a sidewalk along Vincent Drive is a small step to meeting community transportation needs. Tallassee Road and Vincent Drive are both stressful streets for people walking or biking. Both have high speed limits, fast traffic, and no space for people. Both are considered the most stressful type of streets in the county: “streets that are not comfortable for bicycle travel and may only be suitable for the most advanced level of cyclist, the strong and fearless, in rare circumstances” (p. 29). The only streets with worse scores are those that Athens in Motions calls “intolerable,” like some of our regional highways and limited access areas such as the 10 Loop. The graphic on the left shows that when driving at 40 miles an hour, it takes a driver 145 feet to stop their car, and the focus required to navigate at that speed limits our peripheral vision. At 40 mph, a driver may have trouble seeing someone checking their mail, waiting for the bus, or walking to football practice. 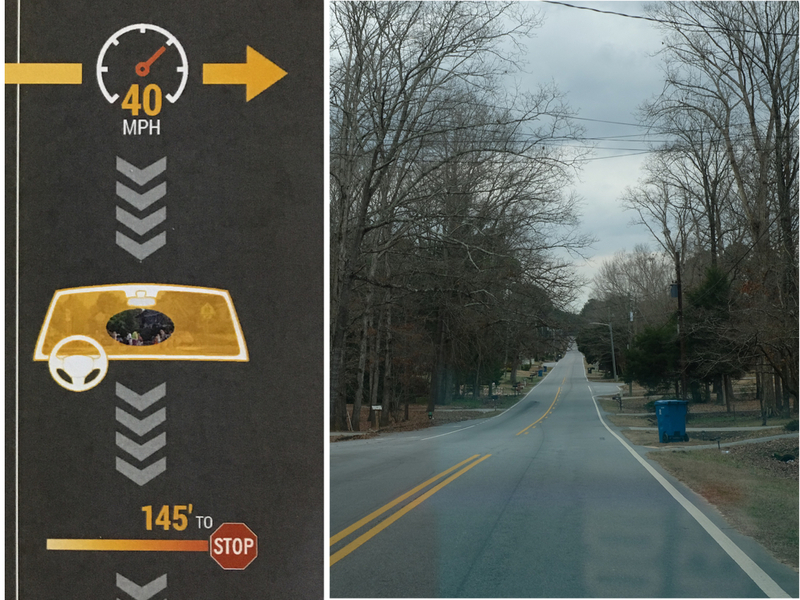 Vincent Drive (right image) has a 45 mph speed limit but actual speeds are much higher, and the potential consequences of a less-than-careful driver are more catastrophic. Vincent Drive has high speeds, no shoulder, and no sidewalks. Tallassee looks the same. There is no space for people. Sidewalks and shared-use paths create that space. 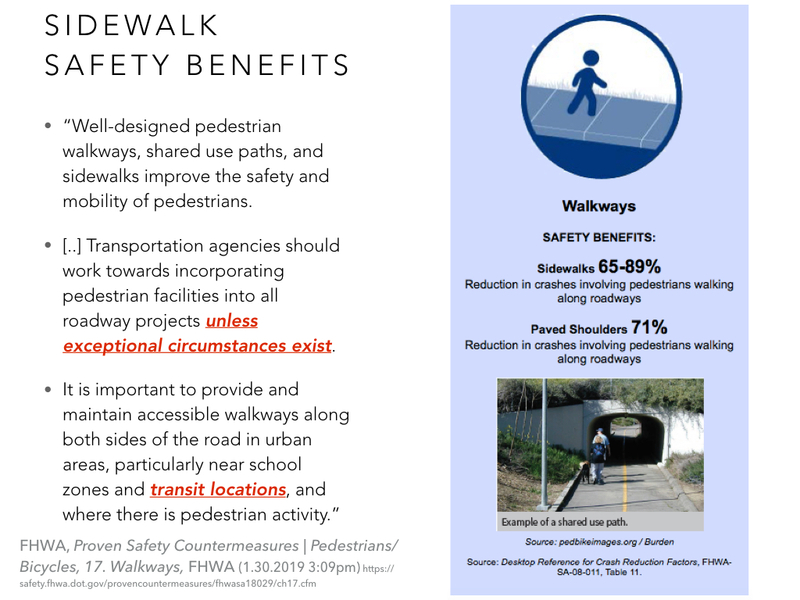 “Exceptional circumstances” are the only reasons to not incorporate sidewalks. However, Tallassee Road and Vincent Drive do not have any exceptional reasons (and no, cost is not an “exceptional circumstance”). Sidewalks should have always been included in the street design. Sidewalks and shared-use paths can make our streets more inclusive and safer for all modes of transportation. Equity and Safety are not the only reasons we proposed the Tallassee Shared-Use Path and Vincent Drive sidewalk. These projects also have community support and would help to build a stronger Athens-Clarke County. Looking at the list of Athens in Motion Tier 1 projects, we picked Tallassee Shared-Use Path and Vincent Drive Sidewalk as the two most impactful projects. They are urgent projects. And projects that may not have champions otherwise. We think they are deserving of inclusion on the final SPLOST referendum. 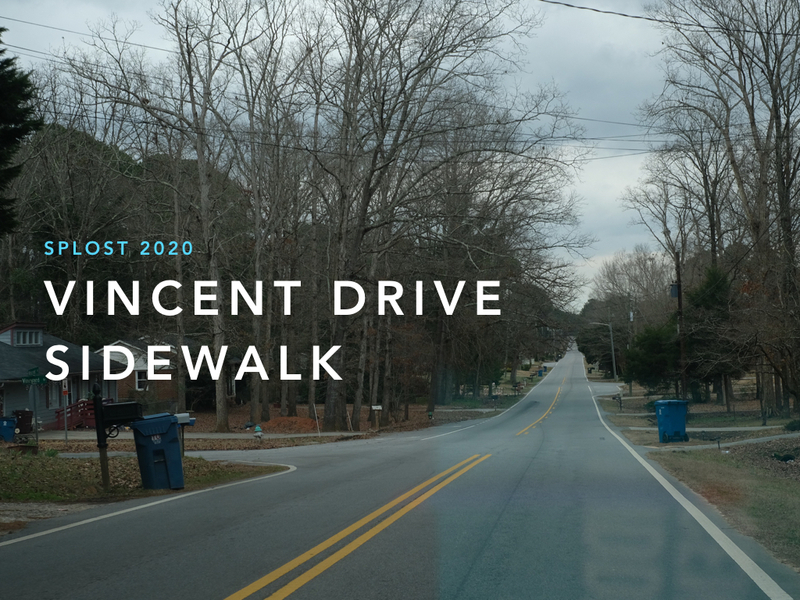 CALL TO ACTION: There is a SPLOST 2020 Public Input session on April 10th, from 5:30-7:30 at the Planning Auditorium (120 W. Dougherty St.) to talk about Tallassee Road Shared-Use Path, Vincent Dr. Sidewalk and all the other potential projects.